Arabba is one of four major centers in the Dolomites Superski which are mutually interlinked ski runs and lifts to form a ski circuit known as the Sella Ronda. 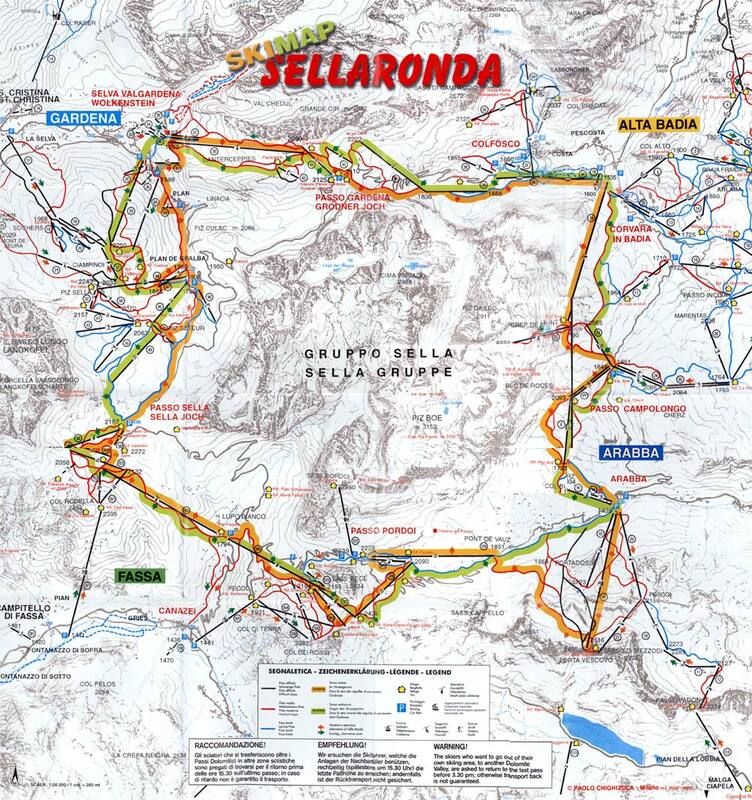 It is 42 kilometers around the roundabout rocky massif Gruppo Sella - the dream of every recreational skier. Height of the Marmolada glacier guarantees a perfect winter but spring skiing. Evaldo popular hotel is situated in the middle of the Dolomites, in a quiet and sunny location, about 300 meters from the center of Arabba. Altitude resort 1,602 meters. Residence Evaldo is located about 150 m from the center of Arabba. It is situated about 400 meters from the hotel Evaldo. Altitude resort 1,602 meters. Apartments Precomun are located in the popular ski resort Arabba only 300m from the center, on the slopes in part Precomun. Pleasant Malita hotel is located in the small town of Arabba, a popular ski resort. Pleasant Hotel Garni Serena offers bed and breakfast accommodation and is located about 600 meters from the center of Arabba, in a quiet and sunny part of the village. Residence Baita Antlia is located in the center of Arabba and is an ideal starting point for skiing on the Sella Ronda circuit. Altitude of the resort is 1612 meters. Residence Alpenrose is located in the ski resort Arabba, which is part of the Dolomiti Superski and Sella Ronda. The apartments belong to the hotel Alpenrose, from which it is about 100m. Center about 700m. Favorite Hotel Alpenrose is located in the resort of Arabba, which is part of the Dolomiti Superski with a link to the Sella Ronda. The Hotel Alpenrose also include apartments, about 100 meters from the hotel. Center about 600 meters. Portavescovo Hotel has a great location in the center of Arabba - in the central part and the right slope and lifts. Excellent choice for skiing in Arabba - Marmolada in the Sella Ronda. The hotel has a convenience store, service center, pharmacy, grocery, post office and bank. The hotel also includes apartments, some in the hotel, not in the near building right in the center. Hotel with panoramic views of the Dolomite Mountains directly by the lifts with wellness center. Sporthotel Arabba is located in the small Alpine town of Arabba in the heart of the Dolomites. It offers access to the ski slopes just opposite the entrance. Altitude resort is 1602 meters. Aparthotel Sella Ronda is located in Passo Campolongo just a short drive from the resort Arabba on one side (3km) and renowned ski center Corvara Alta Badia on the other side (5km). Residence Campolongo is located in the resort of Passo Campolongo, a good starting point for skiing on the Sella Ronda circuit, between the villages of Arabba (3km) and Corvara (6km), where are the nearest shops too. Hotel Grifone is located between the resorts of Passo Campolongo Corvara (Alta Badia) and Arabba, in the heart of the Dolomites. 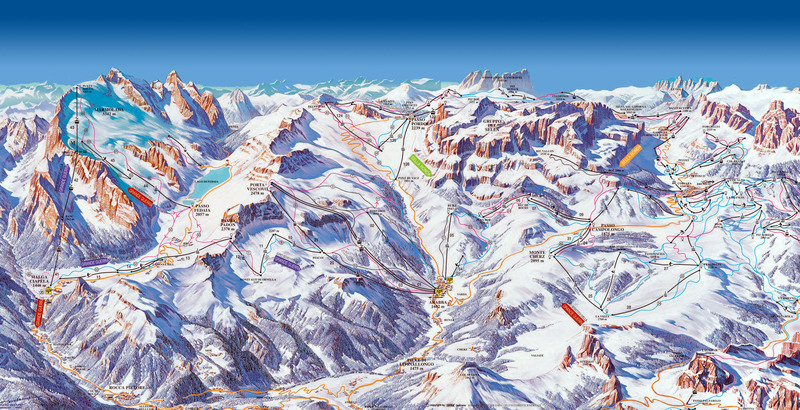 Arabba (1446-3265 m) is known as part of the Sella Ronda ski circuit. Itself is excellent Arabba ski resort ideal for recreational skiing. Options nearby Marmolada glacier improve the already excellent reputation in the category of skiing in Italy. Ski resort offers 63 km of slopes and 27 lifts. Further downhill skiing available from Arabba are located in the neighboring ski resorts of Val di Fassa, Val Gardena and Alta Badia. 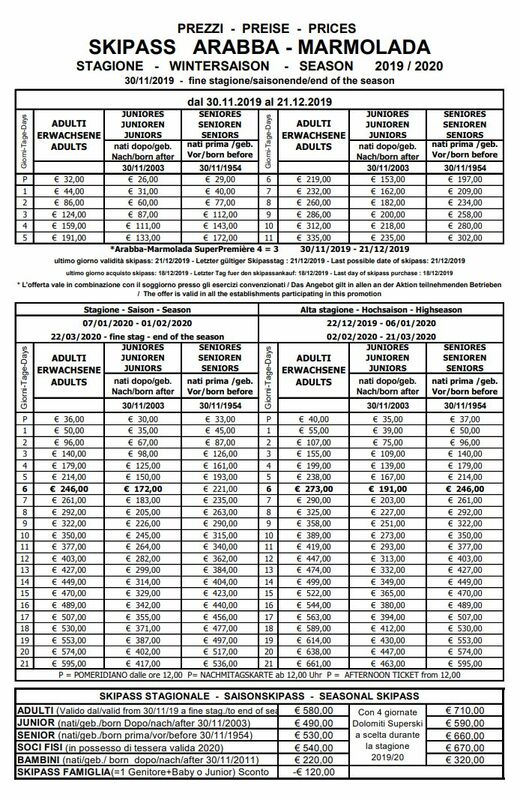 Dolomiti Superski ski pass is the largest ski pass, valid at 16 centers to 480 lifts and cable cars, total available Dolomiti Superski ski pass is 1250 km prepared ski tracks. Arabba their skiing terrain is one of the toughest resorts in the area. Types of mostly red runs with excellent hard surface satisfies Sporty skiers. Ski slopes are mainly oriented to the north, surface quality, therefore, can remain in the warmer spring terms. The nearest ski resorts are Val di Fassa, Alta Badia, Val Gardena, which are attached to each other around the Sella Ronda massif, creating the best conditions for recreational skiing. Arabba also provides excellent conditions for skiing and freeride on the Marmolada glacier. Winter holiday for all categories lovers snowy mountains, winter holiday Arabba provides opportunities for all winter sports and recreational activities.